and guaranteed to finish on time, with no hidden extras or nasty surprises. Finally, a way to end rent frustration and get into the market with a beautiful new home of your own. 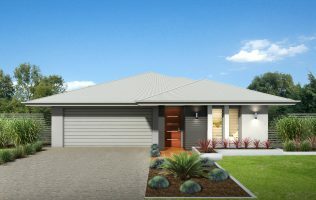 Get the space and features your growing family needs, built with first-class workmanship, and finished on time, guaranteed. Built to last with less maintenance, superior workmanship to attract better tenants, and designed for maximum R.O.I. matched to current and future lifestyle needs. 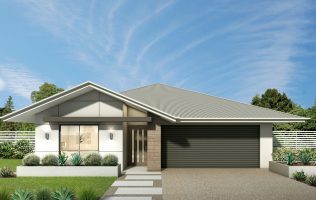 people, no “standard” new home design suits perfectly. 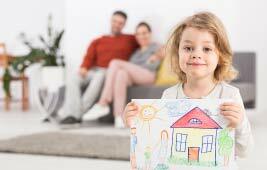 At Territory Homes, we take time to understand what’s important to you. Our in-house design team will guide you through a proven process to ensure every detail is considered. And then we’ll adjust our designs – or custom design from a blank page – to make sure you get the exact home you want. 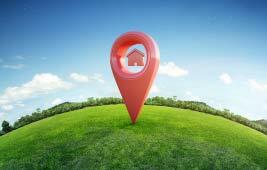 explore if we may be the new home builder you’re looking for. 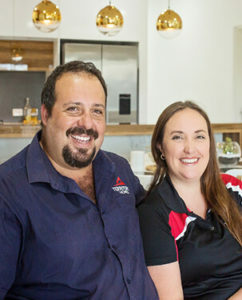 Living in the Territory is not like living in Sydney or Melbourne. The sun scorches around here. And roof temperatures can soar past 50+ degrees. When it rains, the sky dumps more water in a minute than it does all day down south. And when the wind comes, it really howls. You want to know your home is designed for these conditions. We design everything for with your comfort in mind, so your home remains light and breezy, and comfortable all year round… but protects your from the harsh elements. We use proven Australian products to ensure your home stands up to the toughest weather – year after year – with minimum maintenance. 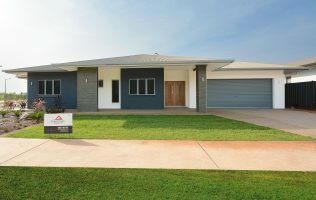 As Your New Home Builder In Darwin? Choose from stunning tiling in your bathroom, included at no extra cost. Choose from our premium security options, at no extra cost. Choose from a wide range of stone benchtops, at no extra cost. Get energy free from the sun, to keep your power bill down. above what is necessary to create the safest possible structure. 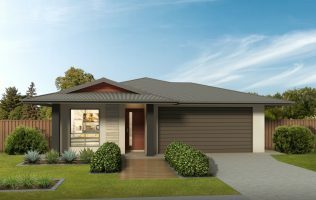 2x display homes available, for you to feel and experience our fittings and fixtures. Fixed price contracts mean you won’t pay a cent more than planned. Maintain peace-of-mind with our “Guaranteed” ConstructionTime*. Purposefully strengthened to withstand bad weather and the test of time. We’re a passionate team with 31+ years of experience. 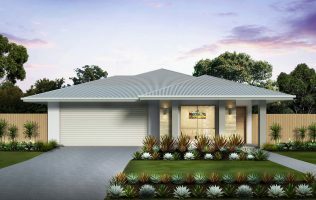 The quickest and easiest way to find out more is to have a Free Design Consultation and Display Home Tour, so you can see with your own eyes why Territory Homes are better. And we’ll walk you through our proven design process which is the first step in getting the exact home you want.